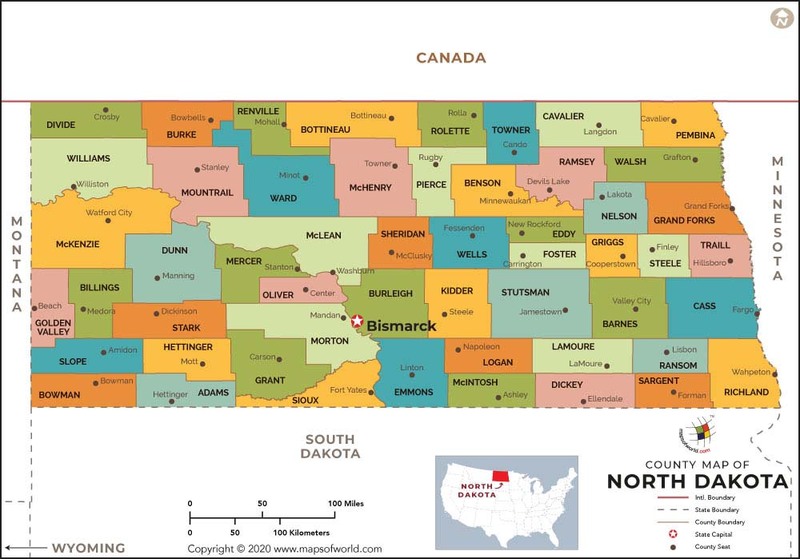 North Dakota County map shows all the various counties that make up the state and also gives a clear indication of their relative geographical positions. The estimated population of Adams County is 2,343. It has been named after John Quincy Adams who served as a railroad officer for Milwaukee Road Railroad and was a distant relative of erstwhile US President John Quincy Adams. Hettinger is the seat of this county. The North Dakota county map also provides relevant information on Adams County. Barnes County has an approximate population of 11,066 and its seat is at Valley City. It was known originally as Burbank County and was named after Governor John A Burbank. It was renamed in order to honor Judge Alanson H Barnes who served as an associate justice in the Territorial Court. The estimated population of Cass County is 149,778 and its county seat is at Fargo. It is the quickest growing and most populated county in the state. It is also a part of the ND-MN Metropolitan Statistical Area. The North Dakota County map provides relevant information on Cass. Dickey County has an approximate population of 5,289 and its seat is at Ellendale. 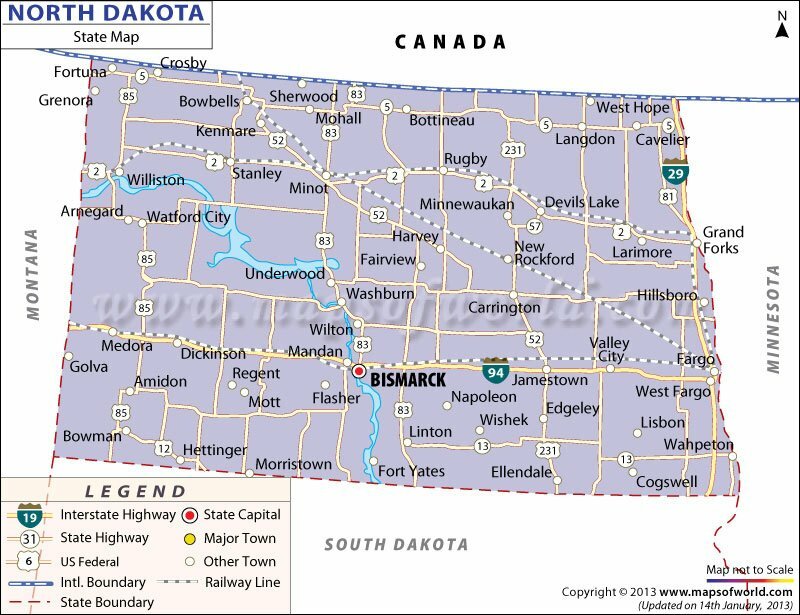 The formation of this county was authorized in 1881 as per the Dakota Territory legislature and it was named after George H Dickey who was a member of the legislative body. The approximate population of Eddy County is 2,385 and its seat is in New Rockford. It was created in 1885 by the local territorial legislature from the northern part of Foster County. It was named after Ezra B Eddy, a banker from Fargo who had passed away a few weeks ago. The seat of Foster County is at Carrington and the county has an estimated population of 3,343. As per the US census bureau its total area is 647 square miles - 635 square miles of it is land area. Some of its townships are Birtsell, Florance, McKinnon, and Wyard.